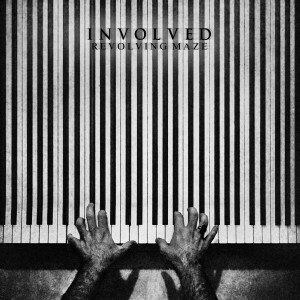 Involved's "Revolving Maze" Out Now! Involved’s “Revolving Maze” Out Now! We’re super excited to announce the release of Revolving Maze, the debut album by electronic duo Involved. We’ve been spinning this album non-stop since we first got sent the demos so it’s wonderful to finally be able to share it. The album also joins the Hidden Shoal licensing catalogue, available for film, tv, web and games productions. The album fuses the psychedelic sounds of ’70s kosmische with ’80s electronic and more modern ambient styles, creating evocative, cinematic music. However, rather than being revisionist, Involved curate fresh sounds from a musical palette that spans 40 years. Lush synth tones are deployed with an innate sense of melody, leading the listener through widescreen narratives of enviable scope. With Revolving Maze, the title says it all: this is complex, engrossing music that transforms with each spin. Head to Involved’s Bandcamp to scoop yourself a copy of this stunning album right now. The album will also be available via iTunes, Amazon, eMusic and the other usual outlets in a few weeks.